“You Know You Are A Mother” will have mothers everywhere nodding in agreement as they realize just how talented and forgiving they have become. This is the eighth book in the “You Know You Are” book series, and is dedicated to mothers everywhere. On behalf of your children, thanks for everything you do. 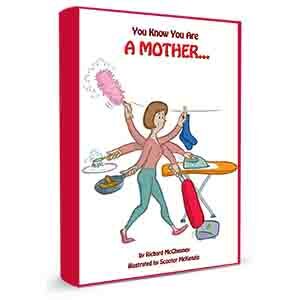 “You Know You Are A Mother” is available in both paperback and on Kindle at Amazon.com or Amazon.co.uk.